Pro Tip: Stay Married | Jim Moon Jr.
I’ve got two goals for every church planting couple that I coach: Stay Married. Do we really have to state that goal? Yes. Yes we do. 80% of ministry spouses report that ministry is hazardous to their family. 1500 pastors leave the ministry every month. Planters included. Church planter types are awesome. Bold, risk-takers, full of faith in God, ready to storm the gates of hell with a super soaker! We are like the Marines of the church. We go first into harm’s way to fight the good fight and see God’s Kingdom advance! Only you know what? We aren’t Marines. We are, for the vast majority, married and Marines don’t re-locate their families to the front lines of a battle! We do. And it’s dangerous up here. There is a real enemy and he’s mean, he cheats and he wants to destroy you, your family and that church you dreamed up at the coffee shop when you were amped up on your third doppio espresso of the day. The church planting battle field is not friendly to marriages. So you need a gospel coach that is going to keep you focused on your marriage amidst all the other demands. Twice in one week this month, I heard of two planters I know personally in different states whose wives had affairs. They were successful. They were ‘too busy’ to get a coach. Part of big name ministries, writing and speaking. But they neglected their marriages. How incredibly sad. Listen, I know planting is a demanding call. There are no distinct time or space boundaries between work, home, marriage and friendship. It’s easy to get busy! It’s easy to forget about your spouse and your marriage. I got busy serving God, winning the lost, starting Bible studies, gathering, networking, marketing, speaking, raising money and planning (and this was 12 years ago before social media and the cloud!) The kind and firm questions of my church planter coach steered me away from the dangers I see so clearly now but couldn’t during the fog of the start up battlefield. Church planter, you are different. And it’s not because you are better. It’s because you are a marked man on our enemy’s hit list. If you or your wife fail morally, then you and your family will need to step off the front lines for a long time. Neglecting your first ministry to your family is very easy to slip into but its wrong. According to 1 Timothy 3, a qualification of leading a church is that you are to be the husband of one wife and manage your household well. The reality is, you lose in marriage? You take a seat. Or at least you should. 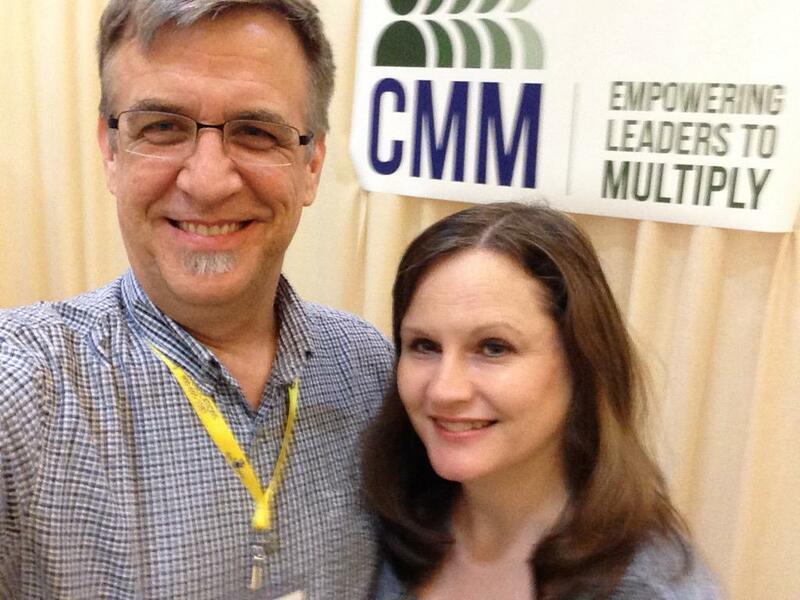 My wife and I at the CMM booth at an annual church event. We’ve been married 28 years. As cheesy as it may sound, I hope every church planter couple ends up like us – more in love during and after the hard work of planting a church. So what should you do? Stay married. That is a moralist statement. There is no power in that advice. You need to put your faith in the power of who God is and what Christ Jesus as done and will do. And you’ll need a coach who will point you to Jesus – not his great advice or expertise. What should you look for in a church planting coach? 1. Get a coach who will remind you to whom you are married. As a member of the Body of Christ, we who put our faith in Christ are His Bride. You can’t lose your marriage to Him. He’s the best husband you can trust to protect you and yours. 2. Worship God, not your spouse or your kids if you have them. Worship Christ and ask Him about everything. Everything. You’ll want a coach that prompts you to pray. A lot. 3. Work less not simply more or harder. Minute-by-minute dialogue with God requires much more listening and less hustle than you probably tend toward as a church planter. Most of what I did racing around making it happen was my own willful self-effort. Not good. I needed a coach who’d been close enough to burn out that he warned me of the signs he saw in my own life. I had to learn to Sabbath. To cease. To stop. To be human. 4. Depend on the Holy Spirit. There are mountains of great church planting resources and wonderful subject matter experts, mentors, trainers and coaches available. Not one of us will be better for you as a planter than deep, old-school, radical humility and dependence on the Holy Spirit. If you are stuck or struggling, get a gospel coach. One of our team can and will help you find out why you’re stuck and help you follow Jesus and stay married as you plant a church for the glory and by the power of God. Thankful for wisdom like this! Chris, appreciate the reblog and the comment. Blessings on your mission to Knoxville! May your tribe increase!